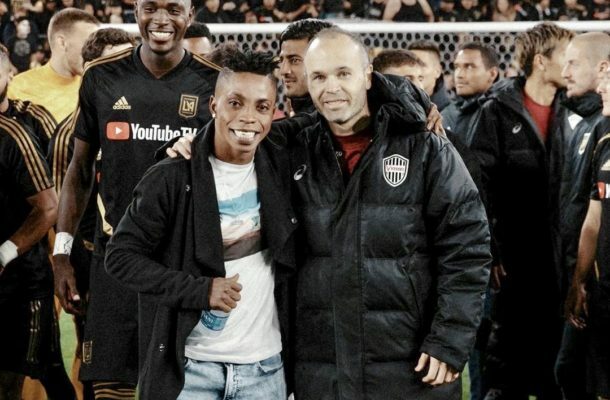 Los Angeles Football Club attacker Latif Blessing had his dream come true after meeting his idol Andres Iniesta during a friendly against Vissel Kobe. The 21 year old featured as the MLS side kicked off their preseason with an impressive 4-1 victory over the Japanese club that also had former World Cup winners David Villa and Lukas Podolski in their line up. But it was Iniesta, who is arguably the most talented midfielder of his generation that left the Ghanaian international star-struck. Growing up, Blessing idolized the Barcelona and Spain legend and was thrilled to finally meet the man himself and get to speak to him.